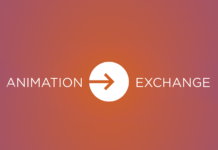 2019 Animation Exchange Talks and Speakers! Home Articles 2019 Animation Exchange Talks and Speakers! 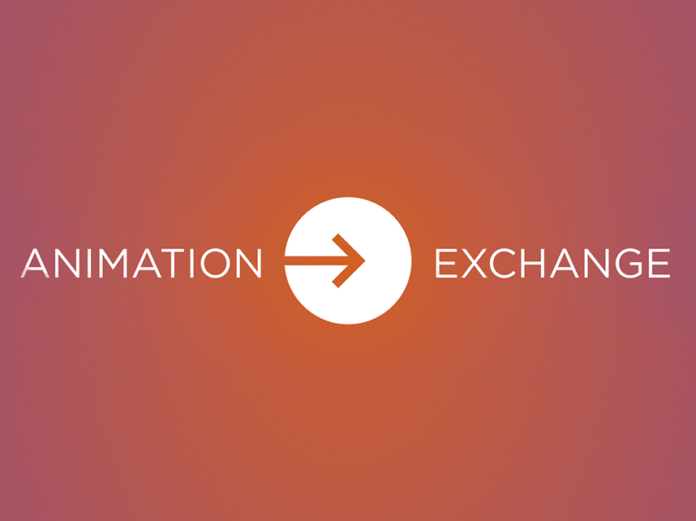 We are excited to announce that on Tuesday, March 19th the Animation Exchange is again coming to you LIVE on Twitch! And like the last two years, we will take the knowledge sharing and thriving community of a game development conference and make it free for everyone to enjoy! 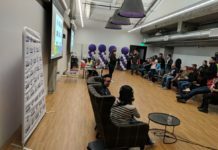 Bringing together developers in both AAA and Indie, and leveraging the open platform of Twitch, this event will again shine a light on different approaches to character animation — From highlighting the most recent tech, to examining traditional animation skills, this digital convention will illuminate the animation experience in game development. And most importantly, it is free to watch both live and any time after, making it the most accessible opportunity for anyone to learn more about game animation directly from professionals. 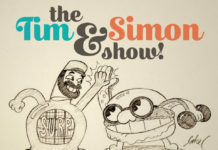 The over 9 hour stream is dedicated to providing interactive experiences with animators, programmers and technical artists to both inform and entertain. Whether you are an experienced developer, aspiring student, or simply an avid player wanting to learn more about how life is brought to your favorite characters on screen, this stream is for you! So without further ado, let’s get right to the talks and speakers you can look forward to seeing and interacting with this year! And if you want to see the schedule for when each talk is planned, you can find that here. Watch as Dan and Jeet look at different sequences in games, break down how they think it was created and how they might have done it different. Learn from and ask questions of two of the best technical minds as they get into the nitty gritty of how animation systems work. Learn how the animators of Spyro Reignited approached the beloved classic and updated it with some inspired new animations and performances. How can animation and marketing work together to better communicate and sell the games we all make? James has worked on both sides of the equation and will help to break down what it is both are looking for and prioritize. Get a behind the scenes look at the animation tools EA uses for their games, including Anthem, FIFA, Madden, Battlefield and many more. Watch a live mocap shoot to learn some best practices from the view of actor and director. Suggestions will also be taken from Twitch chat for actions you would like to see! Powered by Xsens. The fan favorite segment returns! These animators moved Kratos and Boy, but can they move the judges and twitch chat?! Three amazing animators will be sat down in front of a computer, given a rig, an action to animate, and are then let loose! What will they come up with while being peppered with random questions and general silliness?! TJ is back to show off what they have been up to with Maya and answer your burning Maya questions from the chat! Animators are great at creating stylized motion, but when realism is needed, we have to use motion capture. This leads to many issues and restrictions, especially in action sequences. Our understanding is that this is the time to surpass the limitations of motion capture by using physics-based animation and intelligent tools that provide animators with full control over the outcome of their work. We use this approach in our animation software Cascadeur. You’ve got some stuff under your belt, you’re familiar with the industry and you’re past trying to get in the door. You want to start making more personalized decisions. You try to figure out what you want out of your career. You ask serious questions of yourself about where you would like your career path to go, what you want out of life and your job. This panel is about arriving at that process, what it looks like for different people, and the questions they asked to help figure that out. Ever wondered what Technical Animators and Artists do? We are going to show you EXACTLY what they do, by showing off tools and solutions to issues they have encountered as well as crowd source questions and problems from the chat. Guaranteed to give you a list of tools and approaches to speed up your animation workflow! Buckle in for the live premiere of New Frame Plus episode, directly from the host of the Youtube channel of the same name. And afterwards, Daniel will be answering questions from the chat. Bringing back another fan favorite from last year, we will judge the top entries from the Animation Exchange Animation Jam! Can we amass an even larger prize pool than last year for the winners?! And throughout the day we will be featuring Q&A with all the speakers and and special guest interviews with Jonathan Cooper (Animator, Naughty Dog), Bruno Velazquez (Animation Director, Santa Monica Studio), Atsuko Fukuyama (Lead Animator, Last Labyrinth) with Alexis Broadhead (Animator/Technical Animator, Last Labyrinth) translating, Sophie Brennan (Character TD, Insomniac), Glenn Winters (Previsualization Supervisor, Rockstar Games), Hector Antunez (Lead Animator, Firaxis), Yuseff Cole (Head of Animation, Patriot Act with Hasan Minhaj) and a few more to be announced! We will have more information coming soon with details about the return of Tea Time’s 48 Hour Animation Jam leading up to the Exchange, the scheduled times for all of the segments, and more surprises along the way! Get ready, because this is going to be a blast! 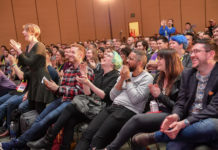 Lead Gameplay Animator at Bioware on Dragon Age ∙ GDC Animation Bootcamp and Animation Exchange Creator ∙ Previous games include Anthem, Agents of Mayhem, Shadow of Mordor, Call of Duty Black Ops and Singularity.